There is a legend amidst the indigenous people of Guatemala. If you have a problem, you could whisper it to a small doll that you place under your pillow. The doll is said to take the worries away while you sleep. I think the act of releasing worries in any way can be rejuvenating. Whether is through speaking, music, writing, art, exercising, meditating, any hobby really, is soul renewing. I have found that when I face those fears and worries, feel them, acknowledge them, as ugly as they may be. It is much easier to let them go than when I try to avoid them. 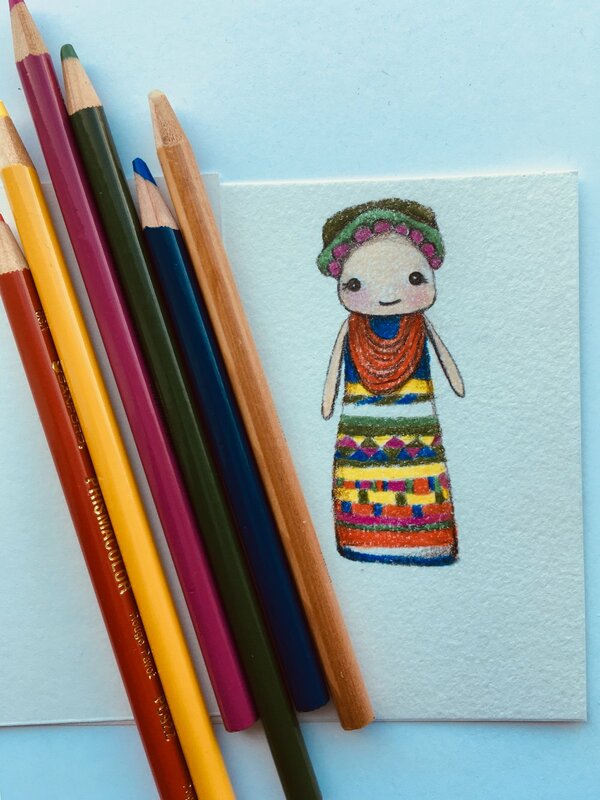 I drew these little dolls a while ago, when I was researching lucky charms in different cultures. 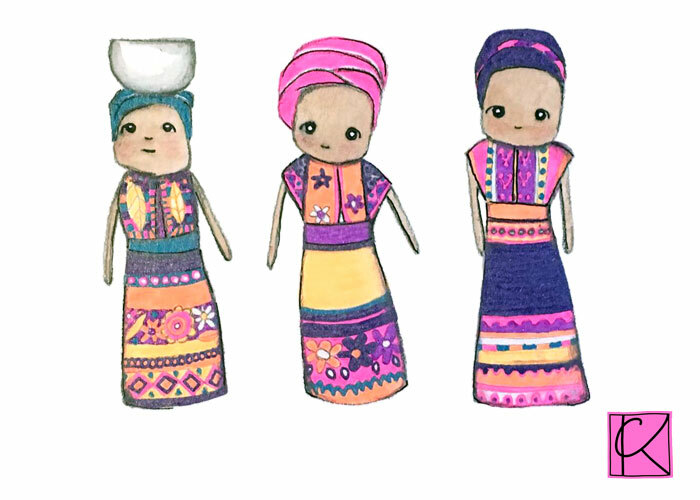 Since they were wearing typical dresses, I immediately thought about the dresses I have seen while growing up in Ecuador. So I based their dresses in the South America region. Lots of experimentation that led into watercolor. I really love that medium. And as Martin Luther King Jr. said “I have decided to stick with LOVE. Hate is too great o burden to bear.” Love yourself and cast those worries in whatever way that is helpful to you. This week I learned that for 80% of us it is easier to be nicer to others than to ourselves. Let’s change that.